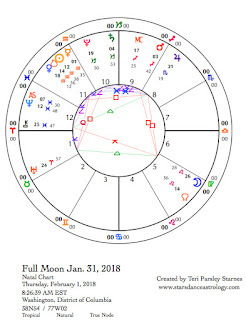 January 31—Full Moon: Blossoming. Lunar Eclipse. This is a spell for change on the personal and collective level. I find myself in the place of changing identity. This is not what I expected to be experiencing at this time in my life, but my heart is leading the way. I am taking down walls that have protected me for a long time. The process has left me wondering who I am. Desire is crafting a new me. Perhaps you are experiencing the same thing. Perhaps you are as mystified as I am about how to do this. This eclipsing Leo Full Moon is an appropriate time to invite new understandings about identity and change. Sometimes, we need to ask our egos to stand down. Ego’s job is to protect and preserve a sense of self, but ego can get in the way when we are changing who we are. Ego is a vigilant defender of the status quo. An evolving self needs to open up those walls of protection to expand who we can become. This feels vulnerable. There’s a tension between ego and change. It’s like the tension between knowing who we are and wondering who we can become. 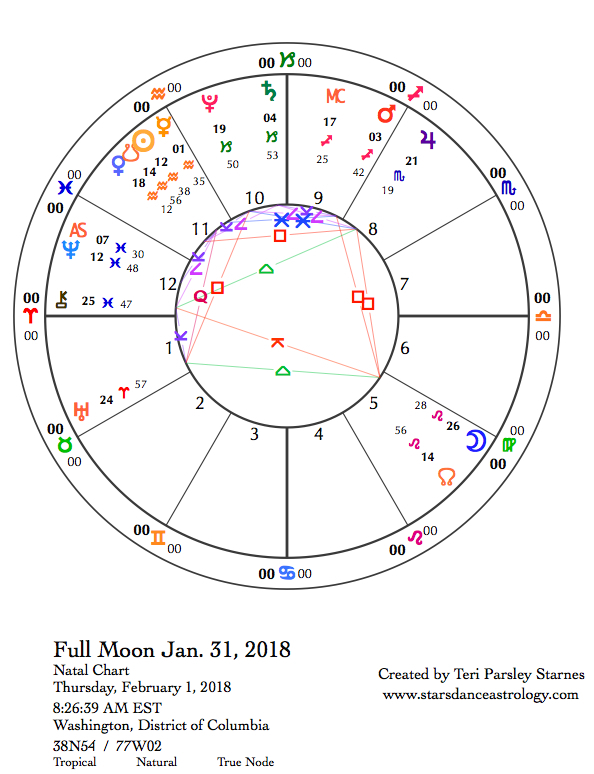 This Full Moon in Leo is an opportunity to sense into this tension and wonder. Leo represents the desire to know and be who we really are. Leo can represent the ego’s desire to maintain identity and worth, but Leo also represents the knowledge that identity is core to self-expression. Expansion of creative life force also means we will change who we are. There is a certain amount of risk in creating. That’s where ego may suffer and need to relax a bit. To grow means we let go of safety. This Full Moon in Leo is a lunar eclipse. A shadow moves across the full face of this Moon and we get to explore identity and ego in new ways. Perhaps the image to hold is how this shadow can obscure the overprotective ego just enough so the self has opportunity to expand. The idea is not to expand into a bigger ego but into self-awareness and even softness. Knowing who we are creates a better connection to what we are capable of doing in this world. There’s a lot of responsibility that comes along with expanded self. Having more impact means we need to be even more mindful of the ways ego wants to claim position and maintain control. Humility may be a sign we are opening. Change is the purview of Aquarius, the sign of the Sun at the Full Moon. Aquarius is the edge-pusher, rabble-rouser, the cultural change artist. This sign reminds us that change is the only constant. Perhaps personal change fosters global change. Perhaps there is a similar process at work on the collective level. When we change who we are collectively, collective ego must stand down too. How might we invite our egos to stand down enough to entertain changing who we are and what we are capable of doing? We are fluid beings. I am discovering that even at the age of 62. There are parts of my identity that are only now emerging and I want to encourage this flexibility. May the shadow covering the full face of the Moon help our egos to surrender control over who we may become. May we become more than our wildest dreams thought possible. Eclipses activate evolution. The seeds we’ve been cultivating this lunar cycle blossom with potency. That doesn’t mean we get to control the process. With an eclipse, control is the last thing we can muster. It is more like riding the currents. Right now, we are riding the currents of change, the ways change is always present and the ways we try to keep change from happening. Planetary allies are reminding us we are not alone on the edge of the future. Our lineages, teachers, ancestors, and wise ones are holding us up. At the New Moon, the seeds of Capricorn were planted in Aquarian soil. We are noticing how much we need the past to help us go forward. Saturn, Pluto, and Mercury are currently in Capricorn. With Saturn influence, the focus on the foundations from the past will last for 3 years. We are in this for a while. Jupiter in Scorpio influence takes any exploration to the next level of depth. Fear, power, control are issues that keep us from change. What needs to be released? Venus in Aquarius is near the South Node of the Moon and the Sun. Old patterns of relationship are released at this lunar eclipse. Venus in Aquarius invites diverse experiences, even queerness, into our relationships. What causes us to hold onto rigid forms of relationship? Can we ride the current of possibility now?